Super Tuesday 2 might have shown Donald Trump come out ahead in three of the four states, but Ted Cruz wasn't far behind — he placed second in all those states. He even came in first in Idaho. What's most important is not, however, which place the candidates come in. Ultimately it's all about the delegates. And while Trump still leads the overall count, Cruz's delegate take-home Tuesday wasn't far behind — at least relatively. He added 56 to his count, compared to Trump's 71 from the races in Michigan, Mississippi, Idaho, and Hawaii. That brings his total to 359 — 99 delegates behind Trump, who has 458. Trump has a lead, but it's not insurmountable — at least not for Cruz, who leads the other candidates remaining in the race. John Kasich added 17 delegates Tuesday for a total of just 54. In bad news for Marco Rubio, he didn't win any delegates. In fact, he came in fourth place in both Michigan and Mississippi, the two states awarding the most delegates. He holds steady at 151. All these votes may ultimately go toward stopping trump at the GOP national convention unless Cruz is able to take the lead in the coming weeks. That seems to be the new plan to stop Trump. The GOP has come out in full force against Trump in the last week, most notably when 2012 GOP nominee Mitt Romney gave a speech in which he called the frontrunner a "phony" who is "playing the American public for suckers." Romney has had his advisers look at the convention rules to see if any would need to change to let the vote coalesce around a different candidate — perhaps even Romney himself. For something of this magnitude to even be possible, Trump can't get the majority. That will require Kasich to win Ohio, Rubio to win Florida, and Cruz to do well just about everywhere else. If Trump is the GOP establishment's least favorite, Cruz is probably at second-to-last. He has not won many endorsements from the party and Rubio seemed to be the preference to take on Trump head-to-head — at least until he began to have so much trouble at the ballot box. 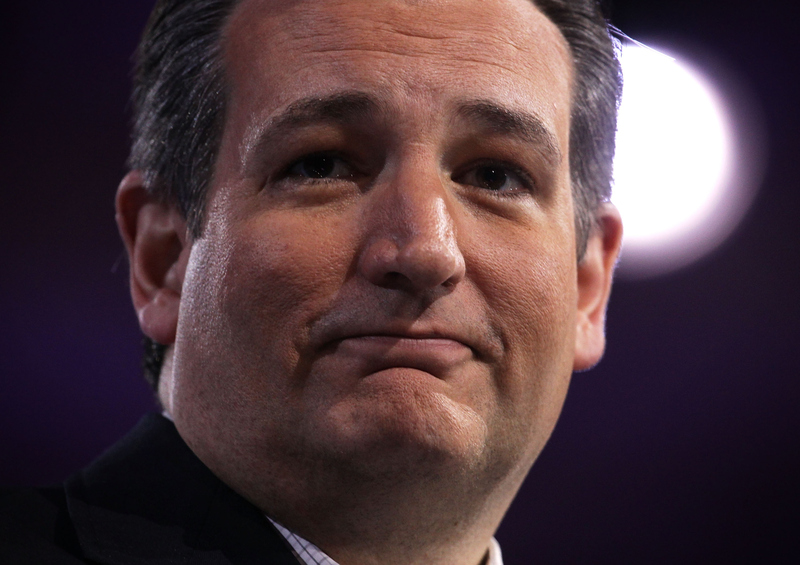 Now Republicans are slowly inching their way towards supporting Cruz. It doesn't sound like many are crazy about the idea but he seems to have the most momentum going up against Trump. Whether it's decided at the ballot box or a contested convention, more delegates for Cruz means Trump is a bit further from the White House.